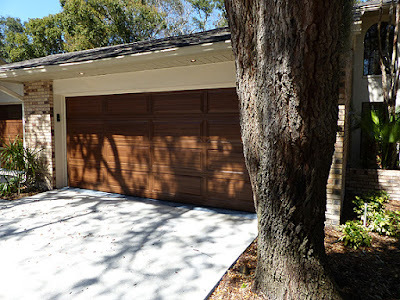 I have several project here at one big remodel. 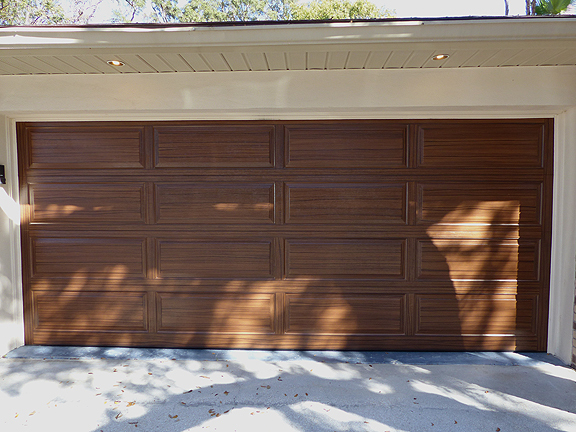 I painted two garage doors to look like wood. 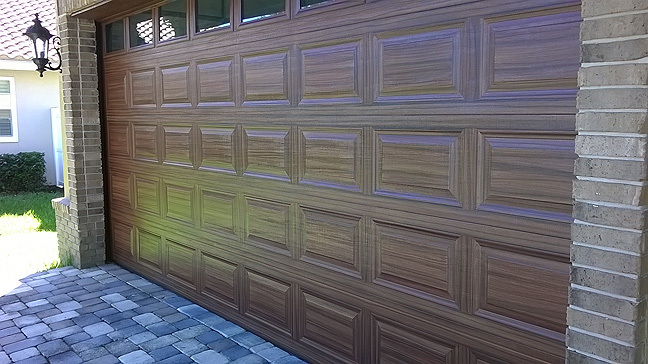 I then painted the exterior of the front doors to match the garage doors. 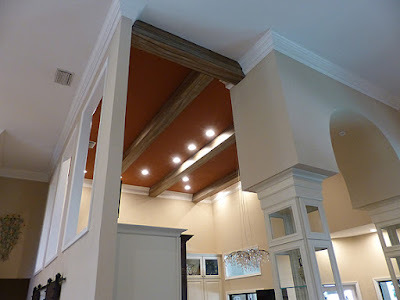 In the newly remolded kitchen I painted 3 very large beams and 2 small ones to look like huge wood beams. 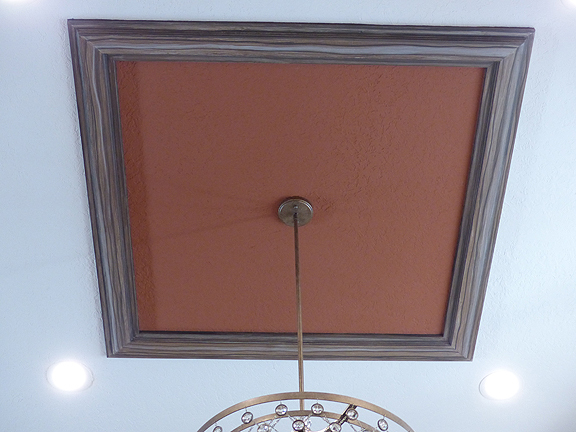 In the foyer I painted the ceiling trim around a space where the light hangs. 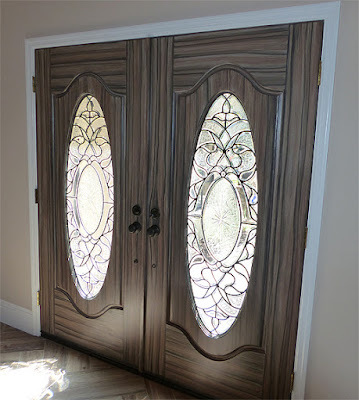 I also painted the interior of the front doors to look like wood and this time I matched the wood look I had painted on the kitchen beams and foyer ceiling. When you first enter the home through the front doors you can see the beams in the kitchen and of course the foyer ceiling, so it made sense to paint the interior of the front doors to match all that. First I'll show you the garage doors. 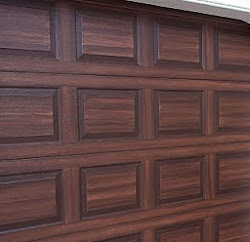 The fronts door where painted to match. The ceiling in the kitchen is 18 feet high. 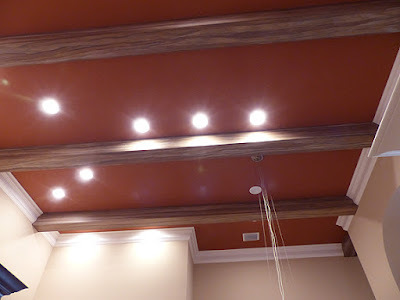 These 3 very large beams are each 12 by 12 inches by 18 feet long. First is the look from the foyer. 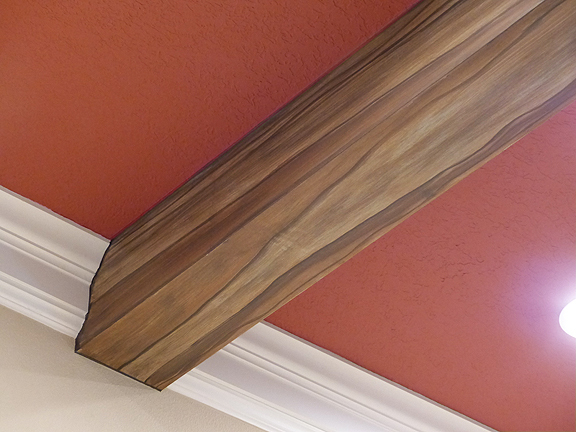 Two closer looks to show some beam detail. These wood beams where constructed by using 1 by 12's and building them in place on the ceiling. 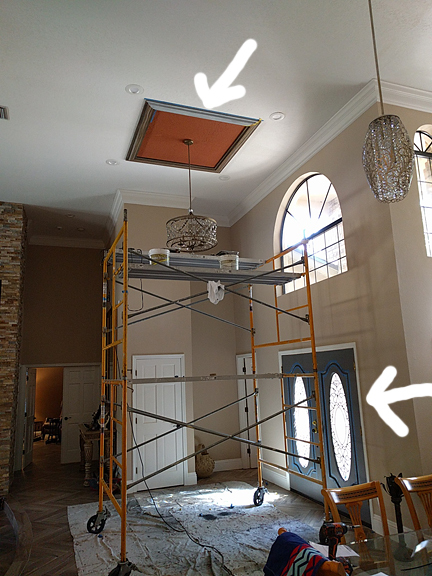 Here is a photo of the scaffolding I used to get at the beams and trim work. 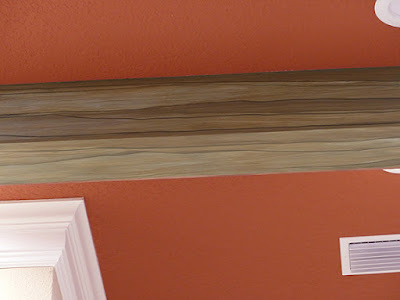 The white arrow on the ceiling is pointing out the last side to paint to look like wood. 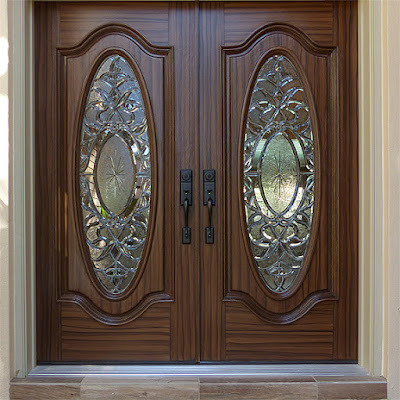 I have already primed it with a dark gray primer. The other white arrow is pointing out the interior of the front doors that I have already primed but not painted to look like wood yet. Some detail of the foyer trim work complete. Lastly here is a photo of the interior of the front doors painted to look like the wood beams in the kitchen.